Posted on Wednesday, July 11th, 2018 at 10:37 am. Twenty-five years after revolutionizing water skiing with the first-ever carbon-fiber slalom ski, GOODE Skis is proud to announce the arrival of the 9970, the best-ever version of the legendary 9000 series that permanently etched the likes of Regina Jaquess, Jeff Rodgers, Kristi Overton-Johnson, Karina Nowlan, and Chris Parrish in the world record books. Designed with the 36 m.p.h. skier in mind but highly capable at all speeds, the 9970 capitalizes on a new construction method and newly sourced advanced carbon materials to weigh in at a mere 2.5 pounds on a 67-inch model – the lightest GOODE ever. Additional areas of design focus included a new rocker profile and a larger flat spot. 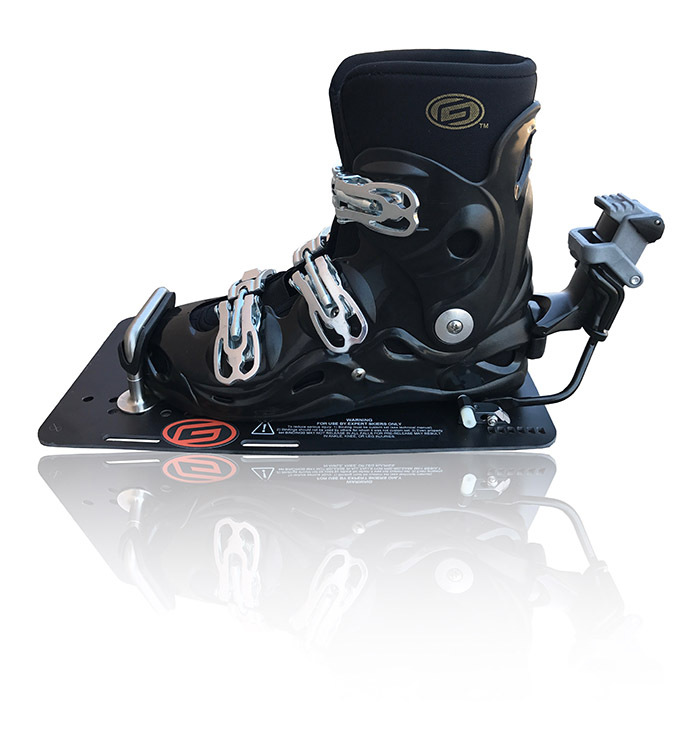 The 9970 is narrower from the front binding to the tip than the GOODE XTR, a characteristic that allows skiers to carry more speed through the turn, something that 36 m.p.h. skiers, especially, will appreciate. Learn more about the 9970 here. Posted on Monday, June 18th, 2018 at 2:10 pm. For the second Big Dawg tour stop in a row Dave Miller is going home with the crown. Riding his XTR Dave topped Jeff Rodgers in the finals this weekend at Cedar Ridge (Canton, Miss.) to secure three of the top-four spots for Team GOODE. Jay Leach finished third and Greg Sund fourth. A whopping 12 of the Sweet 16 were on GOODEs. For full results visit nautiquebigdawg.com. At the year’s first stop at Okeeheelee in early May, Dave topped Greg Badals in the all-GOODE finals, with Greg Sund finishing fourth.